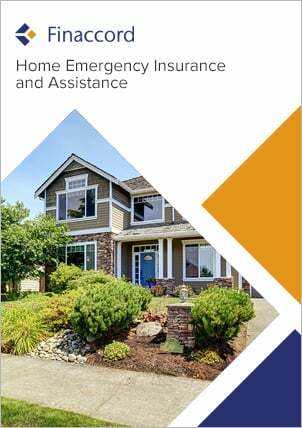 Based on a survey of over 9,000 consumers in Australia, Canada, France, Germany, Italy, Spain, the UK and the US, Home Assistance Metrics: Consumer Approaches to Home Emergency Insurance in Selected Global Markets offers detailed and unique insights into the behaviour of consumers in the context of home emergency cover (including home protection / repair plans and warranties) across eight major countries. Comprising both an analytical report and a convenient data file in Excel format, the research quantifies the proportion of consumers in each country who hold home emergency cover, segmented by gender, age, annual household income, living environment, home ownership status and employment status. It also investigates the types of policy that they acquire (e.g. insurance, warranties or repair plans for air conditioning units, electrical emergencies or faults, problems related to gas boilers / furnaces, problems related to plumbing or water supply, or more comprehensive policies covering two or more of these elements), and the distribution channels and interfaces that they use to take out such cover. Distribution channels include direct sales by insurance or assistance companies (or their tied agents), sales through electricity, gas or water companies, sales through product / system manufacturers, sales via insurance aggregators or brokers / independent agents, and packaging with regular home insurance or banking products; distribution interfaces include face-to-face, online, inbound phone, outbound phone and postal sales. Finally, the report analyses frequency of calls for assistance using home emergency cover split not only by age and annual household income but also by type of policy, thereby highlighting importance differences in the propensity to use home assistance policies by customer group in each of the eight countries. to benchmark your organisation’s performance in home emergency insurance and assistance: given current uptake in each country, could your company be selling more of this type of cover? to evaluate the opportunities for distributing home emergency cover through affinity and corporate partners: to what extent will consumers buy through these means in each country? to identify the customer segments in each country that are most likely to use their policies to call for assistance: should these groups be charged more for their cover than less demanding customers?